Miami, Florida, January 31, 2017	(Newswire.com) - ​​​​​​More than 800 philanthropists and community leaders were on hand to celebrate Jackson Health Foundation’s 25 years of giving with a spectacular sold-out Birthday Bash at Soho Studios. This year's Golden Angels Gala raised more than $2.6 million in support of the work being done at Jackson Health System, one of the nation’s largest and most respected public healthcare networks, dedicated to offering world-class care in Miami-Dade County. The remarkable success of this 25th Birthday Bash was due to the hard work and commitment of philanthropists Fana Holtz, naming benefactor of Holtz Children’s Hospital, and Janice Lipton, Executive Board member, who served as chairs of the event. 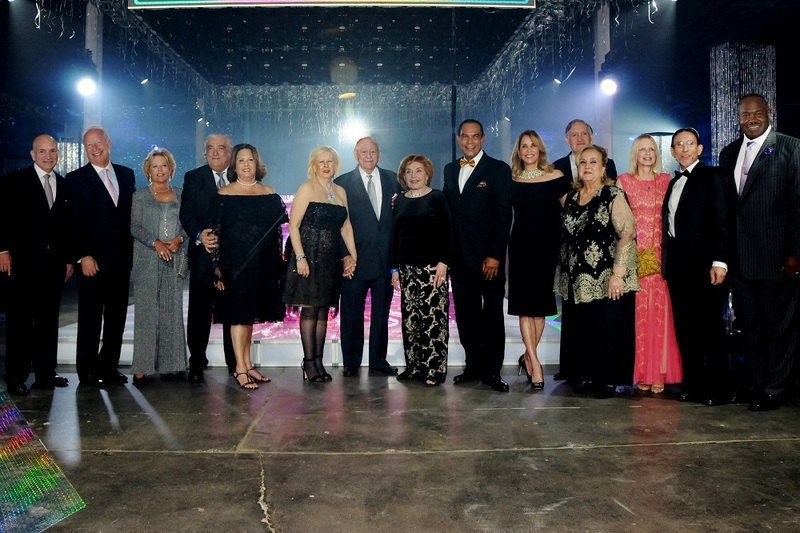 The Birthday Bash also honored Grand Honorary Chairs, Ophelia and Juan J. Roca M.; Humanitarian Chairs, Roberta and Harvey Chaplin; and Honorary Chairs, Mercedes and Dr. Rodolfo Hernandez, Janie and Ron Kupferman, and Dr. Shirley Press and Dr. William Rapoport. Andria Ares Holtz, who served as the evening's emcee, encouraged guests to purchase birthday gifts throughout the evening in honor of Jackson Health Foundation's 25th anniversary. A highlight of the night included a glamorous raffle of a 2017 Porsche Macan donated by The Collection. As a philanthropic gesture, the lucky winner, Felipe Fons, donated the car back to the Foundation in support of the patients and families who depend on Jackson. The 25th Birthday Bash also received the support of numerous sponsors including The Collection, Southern Glazer's Wine & Spirits, Workscapes + Herman Miller, Robins & Morton, Skanska, Mike's Cigars, VALIC, AvMed, Perkins+Will, HKS, HDR, Inc., Turner Construction, Ryder System, FPL, Carnival Cruise Line, Miami Heat, Wells Fargo, José Milton Foundation, AECOM, Bank of America, Northern Trust, Whitman Family, Sodexo, Hope of a Miracle Foundation, Greenberg Traurig and Owens & Minor. The Miami Herald and Selecta Magazine served as media partners. The Golden Angels Society is the Foundation’s premier giving society. Members of the Golden Angels have a strong sense of commitment to Jackson and their support plays a vital role in advancing the mission of Jackson Health Foundation in the community and beyond. Jackson Health Foundation is the fundraising arm of Jackson Health System, seeking private philanthropic support to fund the system’s greatest needs. For more information about the gala and a complete list of sponsors and benefactors, please visit www.JHF25.com.